Every spring the world's best movie stars descend on New York City for the Tribeca Film Festival. Launched in 2002 by Jane Rosenthal and Robert De Niro the festival was founded to celebrate the big apple as a major film making center, especially lower Manhattan. Every year the film festival gets bigger and bigger with more films being premiered. There are also parties, lectures, exhibitions, and more events to enjoy. Hundreds of films, television shows, short movies, even VR programs are launched at the Tribeca Film Festival. While a few are invitation only, many premiers are open to the public. They are shown at movie theaters and venues across the city, and tickets only cost $10 to $20. Check the website for a list of which tickets are available. 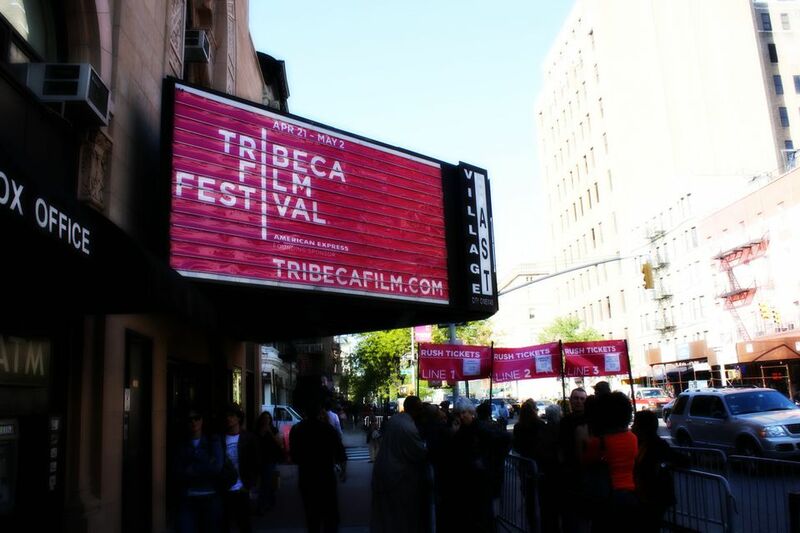 Tribeca Film Festival hosts numerous talks and concerts, many of which are free. The talks bring together experts from around the world to tackle an interesting topic. The concerts are fun and interactive. A full schedule will be posted on the website closer to the time. One of the most popular events is Tribeca Drive-In where you can eat dinner while watching a movie curated by the film festival programmers. It takes place at Westfield, an indoor shopping plaza in Tribeca. Find the schedule on the drive in website. Downtown residents, students, and seniors can get $2 off general screenings ($3 off other tickets) when purchased at the box office. (Proof of status or residency required. If you want to see a movie last minute and didn't buy a ticket, there is still a way you can get in. 45 minutes before each premier, a line forms outside the theater for rush tickets. They will be given out 15 minutes before the event until the theater is completely full. Get more information on the website. Tribeca is a neighborhood known for much more than the Film Festival; it also has delicious food. Make sure your way to one of these restaurants while visiting the festival. Family Friendly: For family fun look no further than Bubby's. This delicious diner serves comfort food from french toast to matzah ball soup. On the weekends it gets crowded so make a reservation. Quick Bite: A New York City establishment is Zucker's Bagels & Smoked Fish. The name says it all: order an everything bagel with all the trimmings. To mix with celebrities: Locanda Verde is owned by Robert DeNiro, and it's a favorite amongst celebrities. Even if you don't have a sighting, it's worth it to go for the pasta. Just to drink: Ward 3 serves delicious cocktails with no pretense. The space is mellow, fun, and a good place to mingle with locals.